Just Listed in Park Hill! 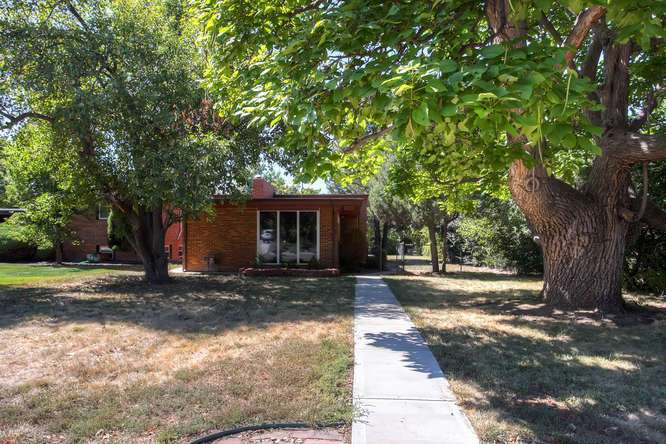 This is your opportunity to own this gorgeous brick, mid-century modern home in one of Denver’s most historic neighborhoods. Situated blocks from City Park, The Denver Zoo, Clayton Early Learning Center and minutes to downtown… this charming single family home has all the style, convenience, and history that is the heartbeat of this trendy area. The floor to ceiling windows, exposed, brick walls and cozy fireplace harken back to workmanship rarely seen today. And if you need more room to grow, examples of beautiful expansions of similar architecture are throughout the neighborhood. Whether you’re one to see possibilities or simply enjoy the lifestyle that this rare corner lot home provides, this is your opportunity to pour love into this mid-century modern home. Call Cynthia today for your private showing!